When I turned on the TV this morning while making coffee and feeding our dogs, I heard the sad, but also celebratory news that Billy Graham has died at the age of 99. As I listened to the Fox and Friends show, several people who knew Billy Graham for many years called in. There was much information that I knew about Graham, but I also learned some new information about him. Billy was included on a list of “most admired people” over 60 times. He was non-partisan and had met and prayed with 12? ( I think) U.S. Presidents over the course of his lifetime. He was offered a cushy celebrity job and also encouraged to be a politician, but turned such offers down. Thus, he became one of the greatest evangelists in my lifetime. Thank you, Billy Graham, for all the decades where you preached the truth of the Bible and how Jesus Christ saves us from our sins. Enter into the joy of the Lord! Perhaps I can revisit this blog post later today. I’m sure that there will be many posts to share, celebrating his life and ministry that reached millions of individuals all across the world. The BGEA put his lifetime audience at nearly 215 million people in more than 185 countries and territories, with “hundreds of millions more” viewing him on television, video, film and webcasts. In a way, that could be deemed a humorous comment. Knowing how, why, and what Billy Graham preached for his entire life – the truth of the Bible and the saving grace of knowing Jesus Christ as Lord and Savior – saves those who have confessed and repented of their sins. There is no fear of condemnation. The promises of Jesus Christ tell us that we will enter into the joy of the Lord when we pass from this life into eternity. Jhn 3:17 – “For God did not send His Son into the world to condemn the world, but that the world through Him might be saved. It is so heartening to wake up in the wee hours of the morning and find a post that I needed to read today. I often think that God has a way of nudging us towards what we need to know, especially when in the throes of sadness, depression, loneliness – you name the angst. Then along comes a fellow Christian’s sharing of Scripture which shares having faith in God’s love and brings peace. Such peace eases the pain or suffering that one may be going through. That happened for me when I read Raymond Candy’s post entitled Keys to the Kingdom: Receiving God’s Peace. To have faith in God is to have faith in God’s love. We would not have even wanted to come to God and be saved if He had not put it in our hearts to do so. When we were ready, He put it in our hearts to desire Him and come to Christ, and now that He has us nothing can separate us from His love. God loves us no matter what! God’s love is not based upon anything that we have or have not done. God doesn’t love us because we read the Bible, attend Church, spend time in prayer, or give offerings. He’s pleased that we do these things, but that is not what causes Him to love us. God loves us simply because we exist. He loves us because we are. Nothing can change His love for us. That’s what perfect love is. Nothing can affect it. Nothing can alter it. It does not change. And it’s not a general, “love for all” kind of love. It’s a personal, intimate kind of love. Before Christ died on the cross, God’s love was a love for all mankind. It was because of His love for all men that He gave His son, but now that His son has been given, God’s love for us is not only perfect but also personal. Like a father admiring his child sleeping in the crib, our Heavenly Father looks upon us daily and counts the hairs upon our heads. He knows exactly what we will need before we even need it, and has prepared it in advance. He who knows the ending from the beginning is never surprised or unprepared, but has already solved the problem before it even appears. The first step in having God’s peace is to understand and believe in God’s perfect love for us, that nothing can change or alter it, and that it’s not based upon anything except for the fact that we are His creation. Because of His love for us, God will do whatever it takes to preserve us. Knowing and believing this will drive away all fear from our hearts and will prepare us to be filled with the peace of God that passes all understanding. Yes! God knew what I needed at this particular time in my faith-filled journey in this life and He led me to Mr. Candy’s essay today. Trying to figure out why certain people do things to hurt one another can be a daunting task. Especially when someone who has shown steadfast love for you, but then suddenly does or says something completely out of character (especially when they claim to be a church attending born-again Christian), it can cause a huge amount of sorrow and grief; the kind of which is very difficult to overcome on your own. That is when God’s love comes in precisely because it is the ultimate love that no man or woman could ever give. God’s love through His Son, Jesus Christ, is the kind of love that surpasses all understanding. It’s the type of love that never leaves you nor forsakes you. It is never superficial or dependent upon the whims of mankind, which can change and shift at any moment during our journey upon this earth. God is my forever beloved and He is mine! How do I claim to know this? Through God’s written Word, the Bible, and His Living Word, Jesus Christ! These thoughts came to mind because of a struggle that I have been experiencing of late. It has gone on for over three months now and it had the power to cause much grief and potentially harm my day to day life and even my current walk with God. The details, at this moment in time, are not necessary to share here. I think that many people have suffered the same type of pain, grief, and sadness due to a person refusing to answer a plea for genuine forgiveness and reconciliation. But God is so good, that He doesn’t leave us alone in our grief! He often alerts us and sends other people with whom we love – including family members and friends – who offer condolences for the pain being inflicted by another and suffered by us; as well as the comfort of words and prayer which can lift us up out of our doldrums, fear, anxiety, pain and sadness. The people in our lives who do this are truly a God-send! And, that is the point of this post. If flawed, sin-infected (but now forgiven by Christ) individuals can do that for us, how much more can God Almighty’s perfect love and presence in our lives do for us? Hat tip: As Seen Through The Eyes of Faith. I read today that legendary singer Vic Damone has died. He was 89 years old. My dad often sang the song, “On The Street Where You Live.” When I heard of Mr. Damone’s passing, I immediately was led to listen to that one hit song of his; just because my dad used to start singing it in his recliner chair in our family room, but by the time he reached the crescendo part of the song he would be standing up singing and making motions with his hands. He had a very good voice (of course, not as polished or professional as Vic Damone’s) and I know that when I was very young he participated in some plays and had singing roles at a neighborhood playhouse. I was too young to go to the plays, but often saw photos of him acting and singing in them. I wonder whether or not he had a role in “My Fair Lady” at the playhouse? I need to ask my mom, who is now 93 years young! She has trouble remembering certain things these days, but she can often can recall several memories from decades ago! For example, she often reminds me about the one time she took me and my siblings to the beach in Long Beach Island, N.J.. I may have been, 4 or 5 years old? Anyway, she turned around and noticed that I was gone. In a panic, she started looking for me. Quite a while later, she found me; sunburned and not concerned that I was alone for so long. I wasn’t really very far from where we were set up on the beach and I was just playing with my pail and shovel in the sand. That was the LAST time she ever took us three kids to the beach alone! When us kids were older, we used to spend family vacations in a rental house on Long Beach Island. My dad wasn’t an avid “beach person,” but my siblings and I would often walk to the beach for a day in the sun and sea. My dad and I were alike in one way; we both didn’t like to ride in boats because we would get sea sick! Back in 2014, I wrote a post entitled, “Remembering Dad” here at this blog. It is a story about true events that happened where I was led (while feeling totally inadequate!) to share the gospel of Jesus Christ and how to be born again with my own father. My mom was in the room with us and recited the prayer of salvation along with my dad. He died at the young age of 71. The title of that song has increased significance in my mind because my dad was saved on the street where he lived. 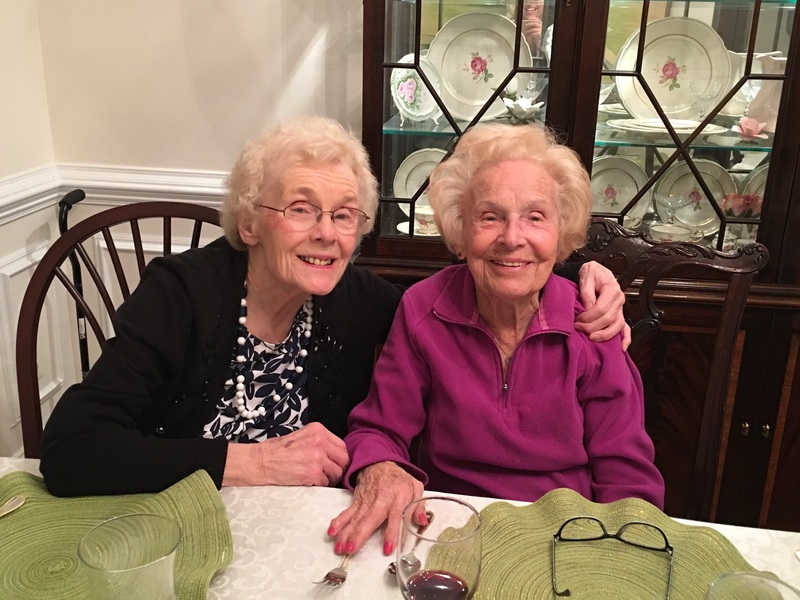 Now that my mom is approaching her 94th birthday in April, she often tells me on the phone that she doesn’t fear dying because it “happens to everyone.” She asked me recently if she was a good mom. 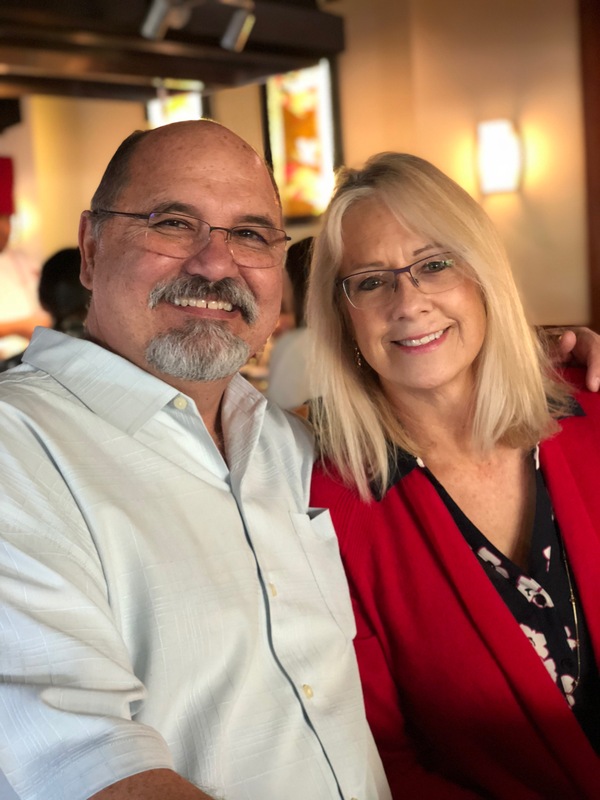 I replied, “of course you were, and always have been!” In any relationship, there are troubles, disagreements, and situations that we can’t have control over. She has endured a lot. When my dad died in 1994, and when my sister died in 2011, they were two of the most difficult times in her life. She says that she hopes to see her daughter and her husband in heaven when it is her time to leave this earth. The assisted living place where she currently resides conducts church services and Bible readings for the residents. I’m so glad to hear that she often attends when she is feeling well enough to be present for the sermons. I think they have really helped her and the fellowship has been very good for her. I go back to visit her once a year. For the past two years, my daughter and granddaughter came along with me! So grateful for that! 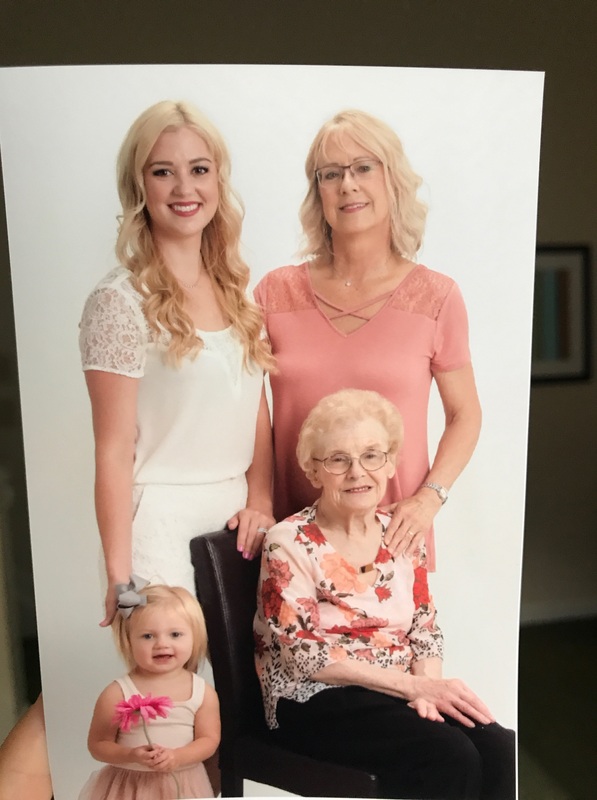 Last July, we had a “four generations” professional photo shoot with Gram! Top photo: 4 Generations. Bottom photo: My Mom (left) and her sister (right). This coming April, our family is planning a 1920’s themed birthday party for her! The women will be dressed in flapper accessories, and the men will wear felt fedora hats and carry fake cigars like the “gangsters” used back then. My brother loved the idea and said he may go “all out” and wear a pinstriped suit to the dinner party! LOL! Since many family members are spread out in different states, I hope that we can have a good turnout for this party and get-together. I know that my dear cousin and her mom (my mom’s 98-year-old sister!) plan to be there! Memorable times with family are some of the most important times in my life. I’m sure, dear readers, that you each also have special memories! If anyone feels inclined to share them, please do in the comment section! (6.) Mutual forbearance, in consideration of the infirmities and deficiencies under which we all labour: Forbearing one another. We have all of us something which needs to be borne with, and this is a good reason why we should bear with others in what is disagreeable to us. We need the same good turn from others which we are bound to show them. (7.) A readiness to forgive injuries: Forgiving one another, if any man have a quarrel against any. While we are in this world, where there is so much corruption in our hearts, and so much occasion of difference and contention, quarrels will sometimes happen, even among the elect of God, who are holy and beloved, as Paul and Barnabas had a sharp contention, which parted them asunder one from the other (Acts 15:39), and Paul and Peter, Gal. 2:14. But it is our duty to forgive one another in such cases; not to bear any grudge, but put up with the affront and pass it by. And the reason is: Even as Christ forgave you, so also do you. The consideration that we are forgiven by Christ so many offences is a good reason why we should forgive others. It is an argument of the divinity of Christ that he had power on earth to forgive sins; and it is a branch of his example which we are obliged to follow, if we ourselves would be forgiven. Forgive us our trespasses, as we forgive those who trespass against us, Mt. 6:12.